I have been on maternity for four months now, just over three of which I have had a little baby to care for - and I am already done. I'm not sure you're allowed to say that; I am carrying around a lot of guilt around the fact that I would often much rather be at work than hanging out with my baby all day. Don't get me wrong, Benjamin is the most precious thing in my life. I am forever smug that he is such a perfect baby, and his little smiles and giggles light up my day in a way I never imagined possible. But he is still a baby and babies are, well, a little dull.We are only just getting to the point where he engages with you when you smile at him or make faces or sing songs. He loves 'Row, Row, Row Your Boat', but that's about it. He is also currently on a two-hour routine, which means that I do the same sequence of things with him at least six times throughout the day. It is hard to muster the enthusiasm for the third time, let alone the sixth. Especially when I am on my own. Of course, there are moments that I treasure: when he is sleeping soundly on me; when his face lights up when he sees me for the first time in the day; when he smiles at his own reflection in our giant mirror; when he laughs as I kiss his toes; when he knits his little hands together as he has his milk. But there are also *a lot* of moments. Those things happen every day, pretty much without fail. And I don't want to complain too much, because I know I am lucky to have such a perfect son, but it's not as if each day has a lot of surprises in store to look forward to. I am also lucky, however, to have a job that I enjoy. It challenges me and entertains me, and I like my colleagues and my workplace and also, let's be real, the pay cheque that comes with it. I know that's not the case for everyone, but it is for me. And I miss it everyday. I am trying to fill my days as best I can, by meeting up with other mums or friends who work shifts rather than a standard 9-5, by taking long walks to do my various chores rather than driving, by taking on blogging and other creative challenges that I fit in during nap times. But I can see the time stretching out in front of me and I know that I won't always be able to fill every day. Four months is a long time, and also no time at all with a baby. In theory, I could have another eight months of this. This again, two times over. But, in reality, I know I can't cope with that much. Whilst I know that Benjamin will continue to grow and change and become more interesting and varied in his days, there will always be a certain amount of monotony to caring for a small human. You can never really be prepared for what it's like to have a baby, and I knew that I would find all of this down time hard. I am not a person who likes to have nothing to do and whilst I know caring for a baby isn't *nothing to do*, it can sometimes feel that way. It's very practical and fills the time, but doesn't, as yet, challenge me mentally. Or at least, not in the way that I would want. 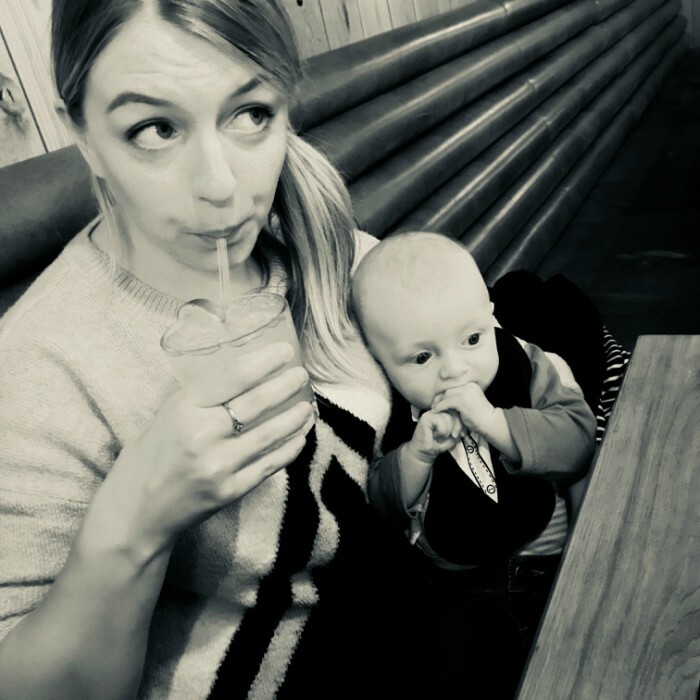 I think that I will be a better mother when I am back at work.I am under no illusion that it will not be difficult in other ways; the juggling of time, the exhaustion, the different guilt about leaving our baby with someone else. But I think that's the kind of difficult that I can cope with. I am hopeful that I will find my time with Benjamin more precious when there is less of it, when I know that I won't just be able to redo the day immediately if I miss time playing with him in favour of doing chores or writing a blog post. Like I say, I do feel guilty for feeling this way, even though I suspect there are plenty more mums out there who feel similarly (or at least, I hope there are...). Benjamin is so small (although he is big for his age, which sometimes fools me into thinking he is older than he is) and he deserves to have this time with his parents, whilst we have the luxury of being able to give it to him. In our financial situation, that means me for most of the time, which is unfortunate as I actually think Paul would cope with the extended leave much better than I am doing. But it is the way that I feel, and I do firmly believe that there's no point martyring yourself for the sake of your children, especially when they probably won't even notice. A happy mum means a happy baby, right? So I am already thinking of bringing my maternity leave to a close sooner than I originally planned. Of course, when the time comes to hand Benjamin over to a nursery to look after, I may pine for these long days together, but I'm not so sure - I love my baby, but I sure don't love maternity leave.